Medicine Science | International Medical Journal. 2015; 4(3): 2465-72.
International Journal of Medical and Pharmaceutical Sciences. 2015; 5(6): 11-18.
International Journal of Medical Research & Health Sciences. 2014; 3(4): 892-896.
International Journal of Reproduction, Contraception, Obstetrics and Gynecology. 2016; 5(6): 1936-1943.
International Journal of Current Research and Review. 2012; 4(24): 131-139.
International Journal of Current Research and Review. 2012; 4(23): 152-161.
International Journal of Current Research and Review. 2013; 5(6): 114-118.
International Journal of Current Research and Review. 2013; 5(4): 126-129.
International Journal of Current Research and Review. 2012; 4(24): 124-130.
International Journal of Basic & Clinical Pharmacology. 2015; 4(6): 1309-1313. Journal of Applied Biology & Biotechnology. 2014; 2(4): 016-020. Singh R., Kumar A., Giri D. D., Bhuvaneshwari K. and Pandey K. D.
Male Involvement in Contraceptive Use among Tharu People Residing In Dang District of Nepal. International Journal of Health Sciences and Research (IJHSR). 2015; 5(9): 472-477. Unusual Presentation of Cystic Fibrosis. International Journal of Health Sciences and Research (IJHSR). 2014; 4(8): 285-287. Hodgkin’s Lymphoma In Children Aged 6 Years Or Below- Long Term Follow Up Results. International Journal of Health Sciences and Research (IJHSR). 2015; 5(6): 89-93.
International Journal of Medical Research & Health Sciences. 2015; 4(3): 708-712. Aesthetic Replacement of an Anterior Tooth Using the Natural Tooth as a Pontic- An Immediate and Economic Prosthesis. International Journal of Health Sciences and Research (IJHSR). 2015; 5(3): 378-382. National Journal of Community Medicine. 2015; 6(4): 562-565. Emani S. R., Sandhya Panjeta Gulia, Rama Lakshmi PVB, Neelima B., Aradhana Giri, Sindhuma D.
International Journal of Medical and Pharmaceutical Sciences. 2014; 4(9): 25-32. National Journal of Community Medicine. 2015; 6(4): 558-561. Docosahexaenoic acid supplementation: a need or a commercial hype? International Journal of Basic & Clinical Pharmacology. 2014; 3(2): 285-291. ANTIMICROBIAL ACTIVITY OF THE EXTRACTS OF SALACIA OBLONGA WALL. International Journal of Research in Medical Sciences. 2016; 4(2): 436-440. A case report of Shewanella algae cholangitis and bacteremia after snake grass ingestion. Is snake grass a potential source for Shewanella? Case Study and Case Report. 2014; 4(1): 12-16.
International Journal of Basic & Clinical Pharmacology. 2015; 4(4): 673-677. Metabolic syndrome in schizophrenia: how much is attributable to drug treatment? International Journal of Research in Medical Sciences. 2014; 2(2): 569-574. Emirates Journal of Food and Agriculture. 2013; 25(3): 205-210.
International Journal of Basic & Clinical Pharmacology. 2015; 4(4): 787-791.
International Journal of Current Research and Review. 2012; 4(20): 85-88.
International Journal of Reproduction, Contraception, Obstetrics and Gynecology. 2016; 5(12): 4263-4265.
International Journal of Community Medicine and Public Health. 2016; 3(2): 530-532. Journal of Applied Pharmaceutical Science. 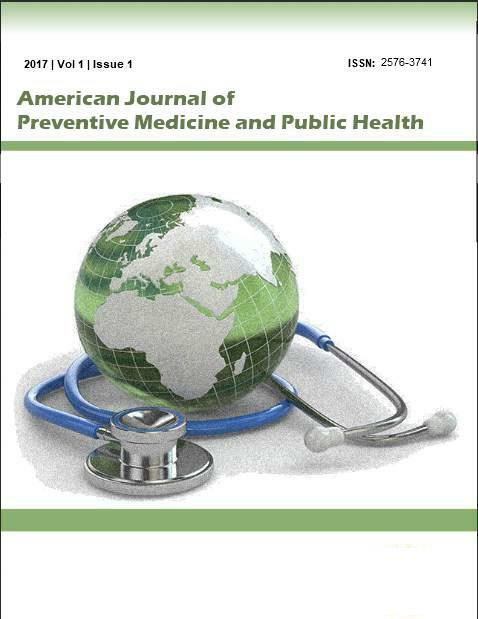 2015; 5(5): 049-051.
International Journal of Community Medicine and Public Health. 2015; 2(4): 620-623. Annals of Paediatric Rheumatology. 2013; 2(4): 168-170.
International Journal of Research in Medical Sciences. 2013; 1(4): 545-551. National Journal of Physiology, Pharmacy and Pharmacology. 2017; 7(4): 386-390.
International Journal of Research in Medical Sciences. 2014; 2(4): 1248-1252.
International Journal of Community Medicine and Public Health. 2014; 1(1): 1-3.
International Journal of Research in Medical Sciences. 2013; 1(3): 233-236.
International Journal of Medical Science and Public Health. 2014; 3(2): 140-145.
International Journal of Community Medicine and Public Health. 2016; 3(1): 200-203.
International Journal of Research in Medical Sciences. 2014; 2(1): 122-126.
International Journal of Community Medicine and Public Health. 2015; 2(3): 328-330.
International Journal of Community Medicine and Public Health. 2015; 2(3): 195-195.
International Journal of Community Medicine and Public Health. 2015; 2(2): 75-76. Is India prepared for an impending epidemic of cancers? International Journal of Community Medicine and Public Health. 2015; 2(1): 1-2.
International Journal of Community Medicine and Public Health. 2016; 3(1): 190-193.
International Journal of Livestock Research. 2018; 8(10): 115-123.
International Journal of Medical Science and Public Health. 2012; 1(2): 132-137.
International Journal of Community Medicine and Public Health. 2016; 3(3): 715-720.
International Journal of Community Medicine and Public Health. 2016; 3(5): 1115-1118.
International Journal of Reproduction, Contraception, Obstetrics and Gynecology. 2014; 3(3): 824-826.
International Journal of Community Medicine and Public Health. 2015; 2(4): 666-671.
International Journal of Reproduction, Contraception, Obstetrics and Gynecology. 2016; 5(12): 4461-4465.
International Journal of Reproduction, Contraception, Obstetrics and Gynecology. 2016; 5(12): 4385-4389.
International Journal of Community Medicine and Public Health. 2016; 3(7): 1900-1904.
International Journal of Medical Science and Public Health. 2016; 5(10): 2125-2129.
International Journal of Research in Medical Sciences. 2015; 3(1): 105-109.
International Journal of Community Medicine and Public Health. 2014; 1(1): 4-7.
International Journal of Medical Science and Public Health. 2013; 2(1): 1-6.
International Journal of Research in Medical Sciences. 2015; 3(4): 846-848.
International Journal of Research in Medical Sciences. 2014; 2(3): 798-804.
International Journal of Livestock Research. 2012; 2(2): 263-264.
International Journal of Medical Science and Public Health. 2017; 6(8): 1297-1301.
International Journal of Medical Science and Public Health. 2016; 5(3): 563-569.
International Journal of Medical Science and Public Health. 2015; 4(10): 1366-1368.
International Journal of Livestock Research. 2015; 5(3): 133-135.
International Journal of Medical Science and Public Health. 2016; 5(5): 839-841.
International Journal of Basic & Clinical Pharmacology. 2013; 2(6): 751-756.
International Journal of Medical Science and Public Health. 2016; 5(12): 2518-2521.
International Journal of Medical Science and Public Health. 2014; 3(11): 1389-1392. Study Of The Effects Of Hibiscus-Rosa-Sinensis Flower Extract On The Spermatogenesis Of Male Albino Rats. Jana T.K., Das S., Ray A., Mandal D., Giri (Jana) S. and Bhattacharya J. Journal of Physiology and Pharmacology Advances. 2013; 3(6): 167-171. National Journal of Medical Research. 2014; 4(3): 218-221.